Today we are showing you a massive range of fabulosity from Raquel Burillo, aka Scrapcosy. As you know, Raquel is a Vintage specialist, so her ideas rock that vibe, but wow has she knocked the ball out of the park with so many cool things you could do with her stamps! As if that weren't enough, check back tomorrow night, and you may see a different twist on them from Sarah Anderson. Spoiled much! But before going into Christmas, we have another festivity coming soon... Halloween! 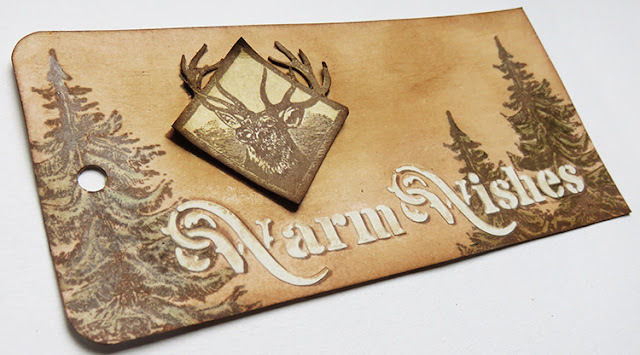 So I just wanted to remind you that in July I released a Halloween inspired stamp set and stencil so if you want to give that Vintage look to your Halloween party, you can take a look at the blog posts by myself here, Jennie Atkinson here, and Alison Bomber here. 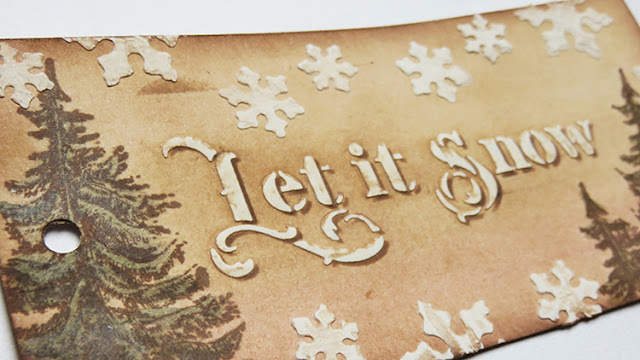 And remember, tonight I'm going to share with you some winter-themed ideas but the party is not over because tomorrow, the awesome Sarah Anderson will be sharing hers! 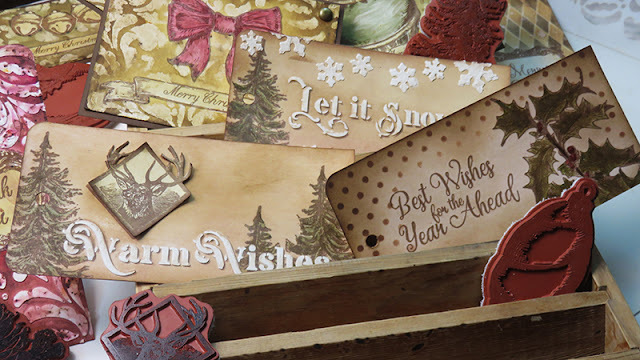 I've seen some samples of her projects and I can tell you that you're going to love them too! OK, lets take a look at the sets up close, and the possibilities with them. 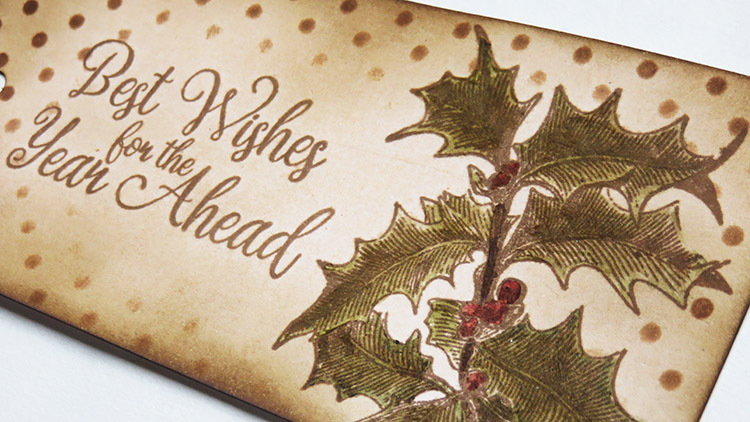 When I give a present I like to wrap it in kraft paper, but then I also like to tie some baker twine and add a tag with the name of the person I'm giving the gift to. So I felt I needed to create some tags with that in mind. Here my deer just wants to jump and run in the forest, don't you think? I bended the corners to give it a bit more of volume. And with the sentiment Let it snow, I felt I needed snowflakes all around it. For this last one, I just wanted to colour and have fun and see how my holly would look when coloured with my favourite technique: infusions and glaze. And I think it looks very nice and very Christmassy, so I was very happy with this one. You know I love curating images from old books and documents, but this time I didn't do that for this set. 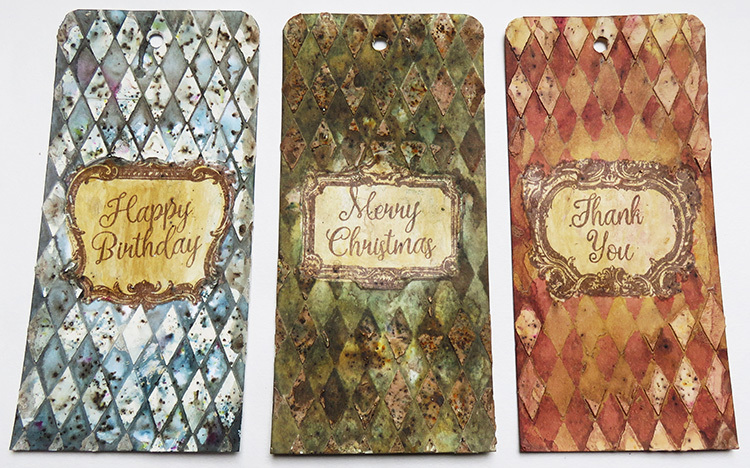 I wanted to draw something in vintage style myself, because I wanted some specific ornaments that I couldn't find in such places, they were in my mind, so I pulled them out with a pencil and here you have them, ready to decorate your cards, your tags or even your tree! I really like the hand drawn ornaments since they give a very unique look and since they all are in a similar style, I felt I needed to create a collection of Christmas cards. 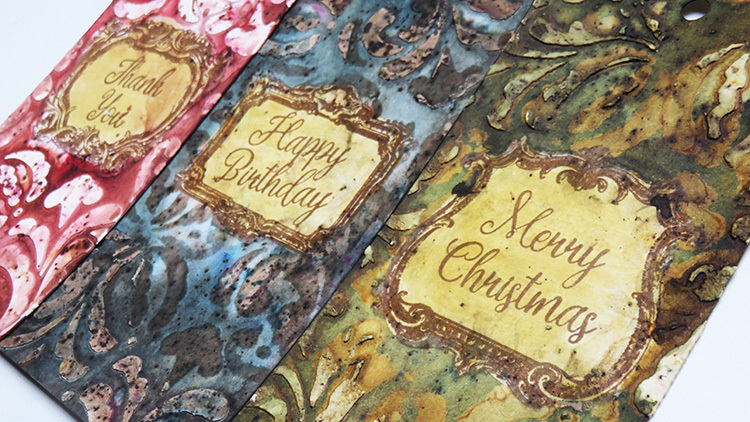 I decided that the baroque pattern was the perfect combination with them. I went for a glaze resist and I'm super happy with the results! It really makes the ornament to stand out! That baroque pattern really is a good background. 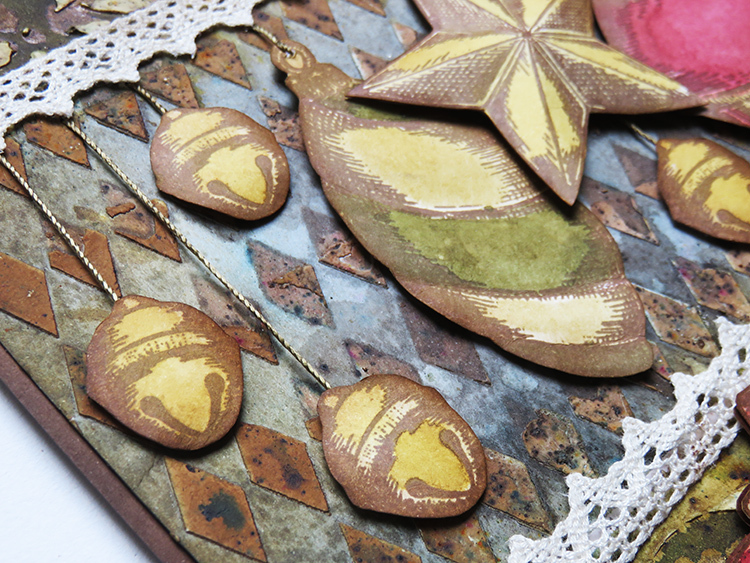 It seems that the ornaments are against a vintage wall and they have that vignette effect thanks to the ink on the edges. If I wanted to do another collection, perhaps I would try to add volume by fussy cutting the images. 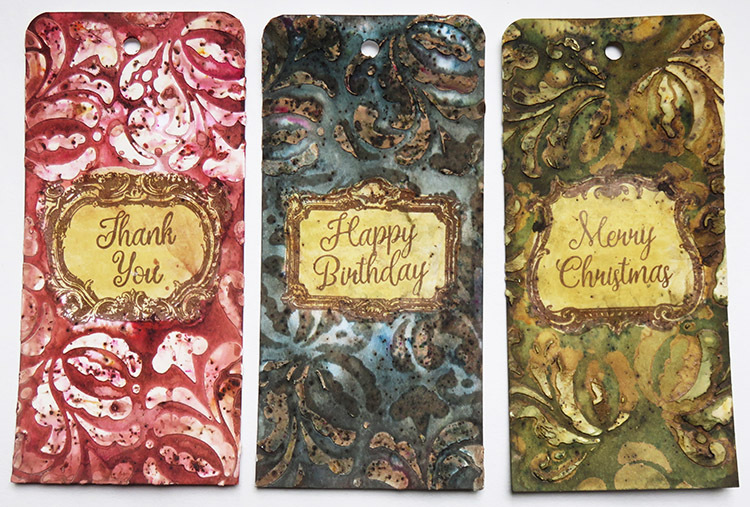 And I could swap the baroque stencil and use the diamonds stencil instead. You'll see that stencil coming to play later. I envisaged my sentiments hanging, so I decided to create a piece with all my ornaments at the same time where they would effectively be hanging, in this case, of golden thread (although I had the impulse of using a metal chain instead, but I refrained myself this time.... next time I'll go for it!). Of course, this is a big piece, not to post it over the mail (trust me, it doesn't fit, I tried already) but still I wanted to see what I could get. And I must admit that I'm in love with this piece! I went and curved each ornament to try and give it volume. Can you notice it? The star can be creased on the lines and you should see it in reality (if you come to Ally Pally in September, I'll bring it so you can see it in person). It was so easy to give volume to these! I'll repeat for sure! And what about the bow? Do you see something familiar behind? 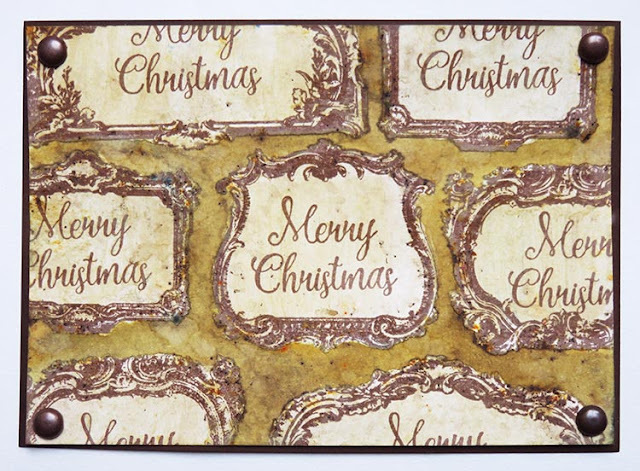 It's the Merry Christmas banner! I was so happy when I tried them together! It's a bow with character, don't you think? And again every part is curved and sticked on top of other pieces and using foam so I keep the 3D effect. 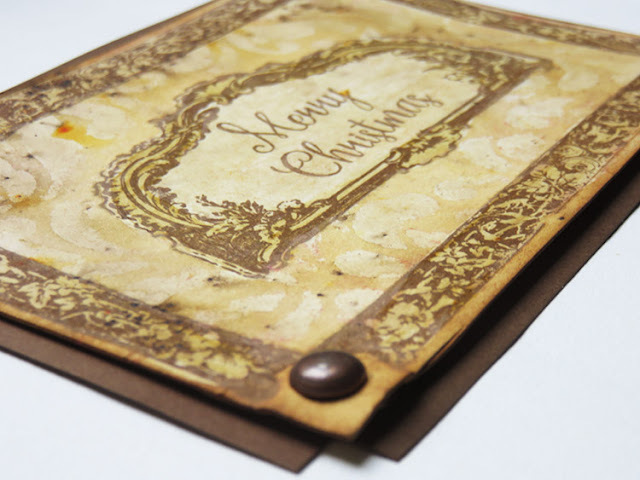 Since my first release, when I launched ESC03 (Voyager) I fell in love with the vintage frames that you can find in old maps, so this idea was always in my mind: creating a stamp set of empty frames and coordinating sentiments, so you can mix and match. And I'm so happy I finally did it! You would think that you can't do much with these, but let me tell you that now we are IN HALF PART of the release, because these frames really got me and I had to try many things, so get ready, because there are many samples to come and some of them are explained in the video at the end of the post below! I knew I wanted to create a card with all frames stamped as if it was a background and then the idea was stamping the Merry Christmas just in the middle one, but you know what, I had to stamp them all! They were craving letters!!! Among the 4 frames available in the set, I think this one is my favourite, so I wanted to create one card where this would be the focal point. And I also wanted to use the L shape frame to create an outsider frame on the card. The L shape frames gave me te opportunity of adding a couple of brads in the empty spaces, which I believe give a great look to the card. 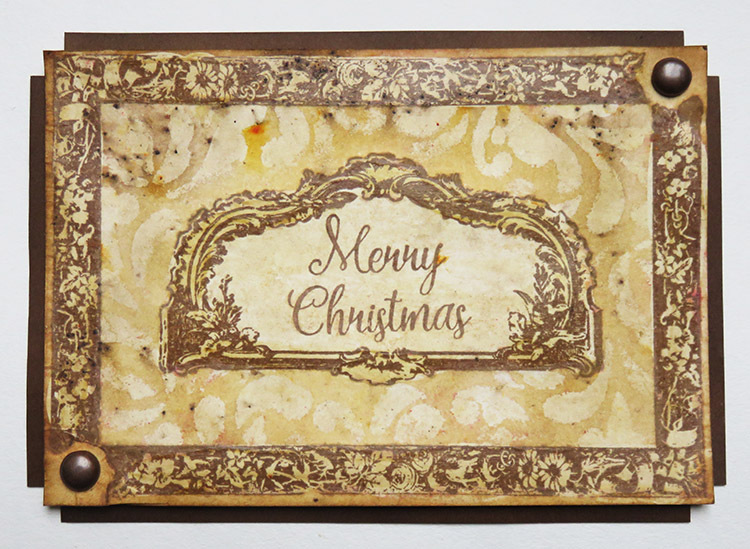 And to make it stand out even more, I decided to use 2 pieces of brown card stock to create an outside frame for the card. I love the corners! And you should touch the card! 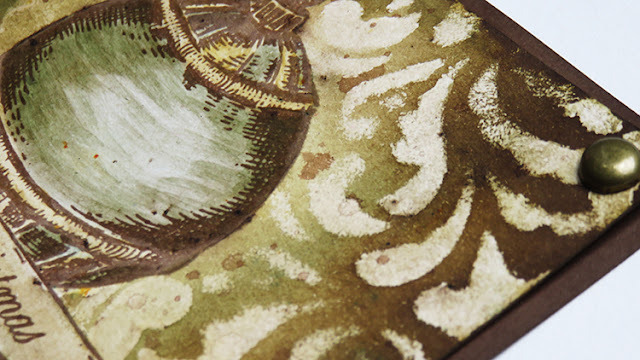 The stamped images were covered with glaze and then I used so much water that when everything was dry, for some reason the images seemed embossed, they have volume! I love grunge paste and I love infusions and this design (frame over diamonds) had been on my mind for a long time and now I had the stencils and stamp sets, it was time to play! 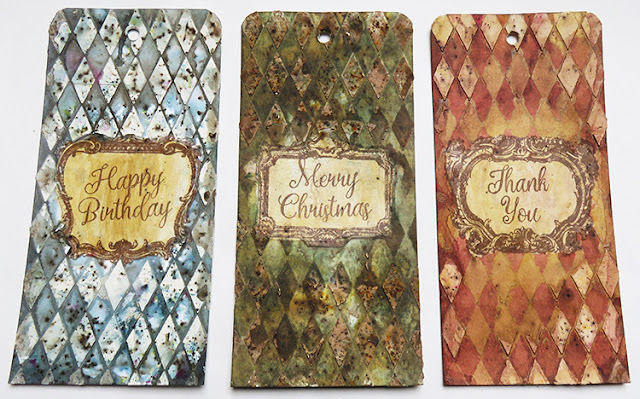 I enjoyed so much creating these tags... the first one is a simple "all grunge paste" and then infusions, but the other 2 are half grunge paste and half 2 other things. Can you guess? Not yet? Then let's see another sample with same techniques but swapping colours, sentiments and using the other stencil. Love these!! I think Santa Claus will have to give me few pots of grunge paste as a present because I'm going to use it all making these for Christmas! And I want to try how they look combining the 24 Infusions colours! OK, do you know now what I used for these? I'll keep the secret, but if you want to find out, just watch the video below :) My heart is divided between the green one and the blue one... I can't choose... Which one is your favourite? Blue or green? Ink or glaze? Ooops, secret shared! Thanks so much for coming by! I hope you found good inspiration. I would love to read your comments about the release and the samples I made. If you still want to see more pictures and techniques explained, you are welcome to come to my blog! More videos will come on my youtube channel, make sure to subscribe. And if you want to buy the stamps and start creating your Christmas presents, cards and tags, check out the suppliers list below or visit my etsy shop. 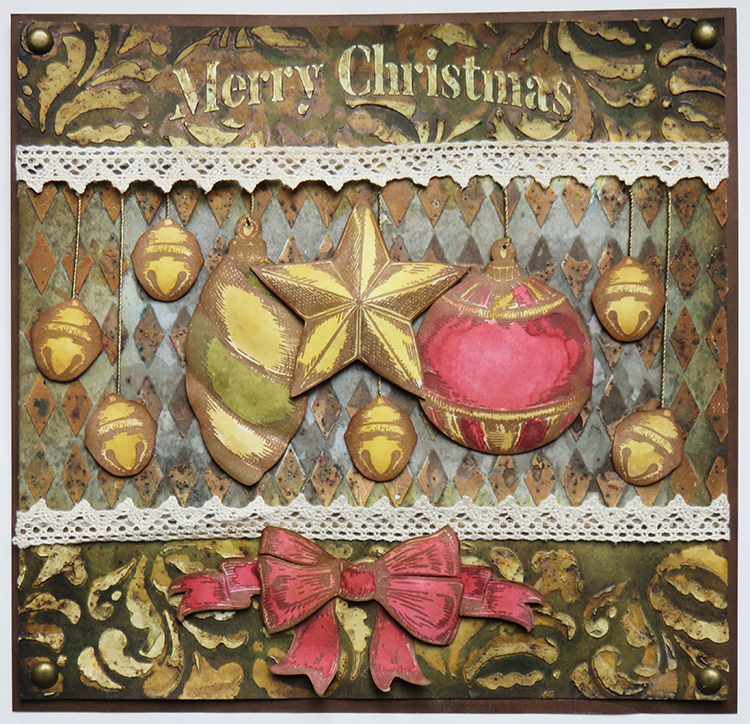 You can find me teaching at Ally Pally in the PaperArtsy booth on Saturday and Sunday next weekend. Make sure you come to one of the Make and Takes! it will be fun! Stunning new release - congratulations. Your projects are fabulous.... now off to order!! wonderful - love the frames, so many possibilities with them. Great samples. 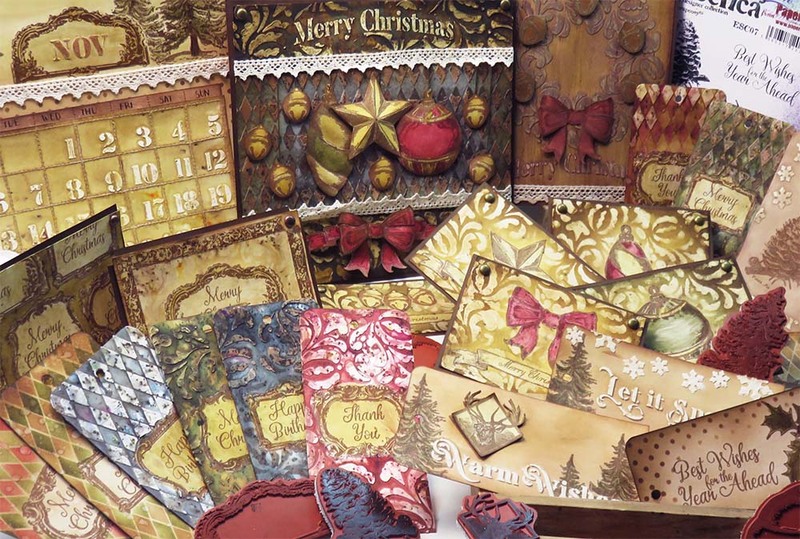 Stunning post and lots of fantastic stamps to play with!! Cannot wait for your Ally Pally make and takes next weekend!!! Congratulations! Fantastic! 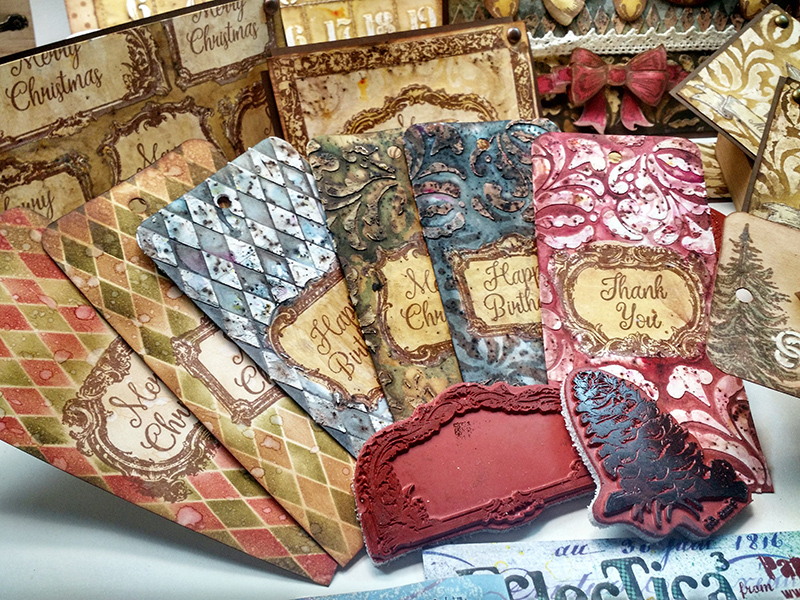 I love the stamps, the stencils and the samples. Beautiful new stamps, love the stencils too! Wow - what an incredible array of inspirational samples, Raquel. I love those new vintage Christmas images - the tree, the holly and the pine cone are so beautiful! - and the stencils are great too. 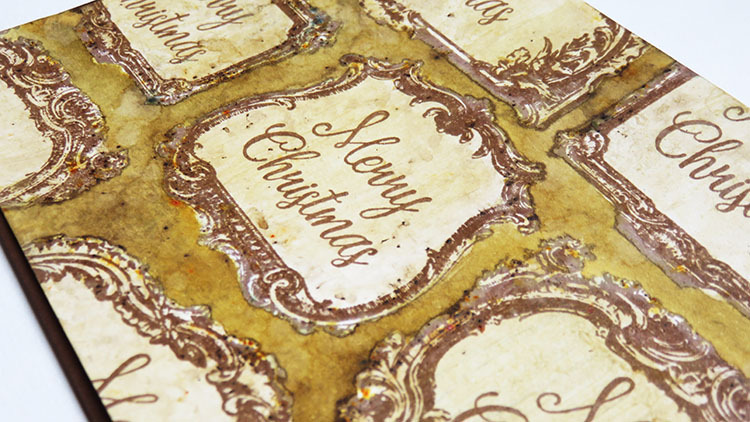 It's clear to see you've been having lots of festive fun!! Oh yes, I have to have these! 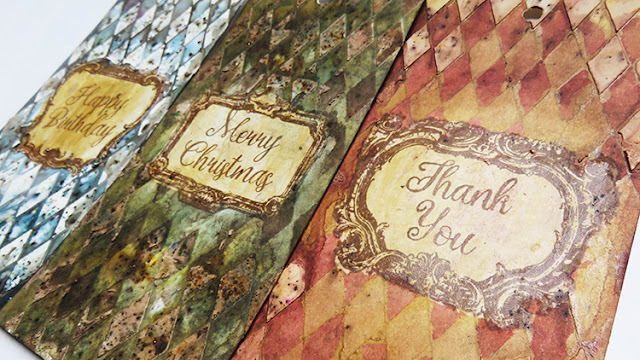 Thank you for the beautiful stamps, stencils and (for me most of all) your gorgeous samples to inspire. Oh my, I really really don't need any more Christmas stash of any kind but..........these are stunning! 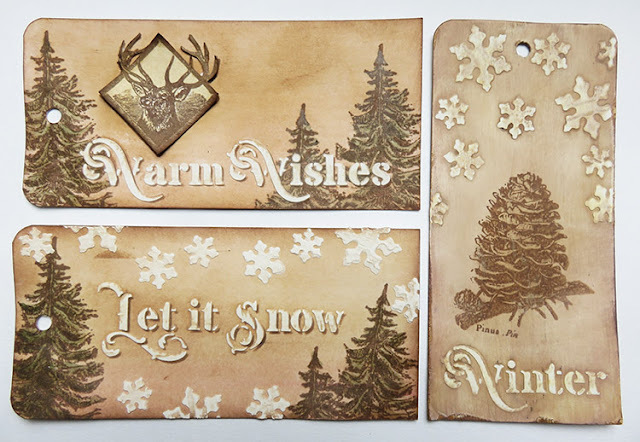 I especially love the first set of stamps and the stencils are wonderful. 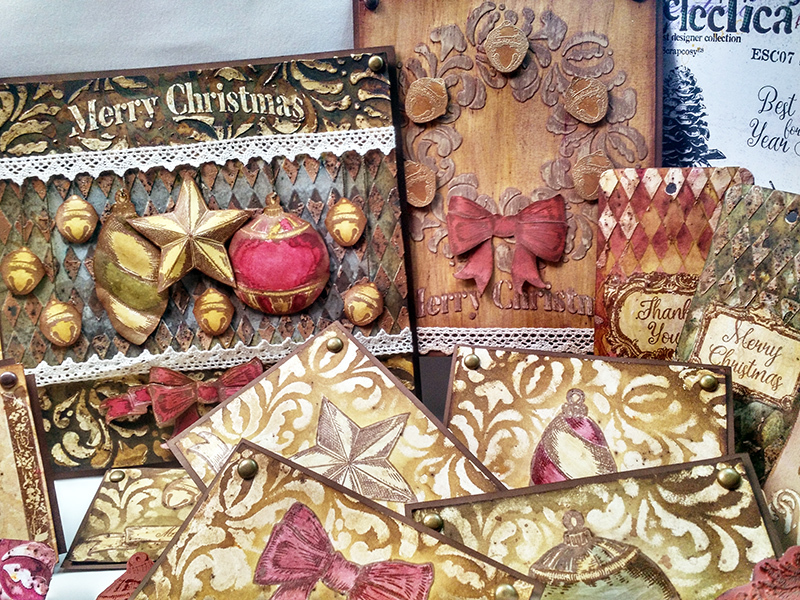 Raquel's inspiration samples are just vintage delights. 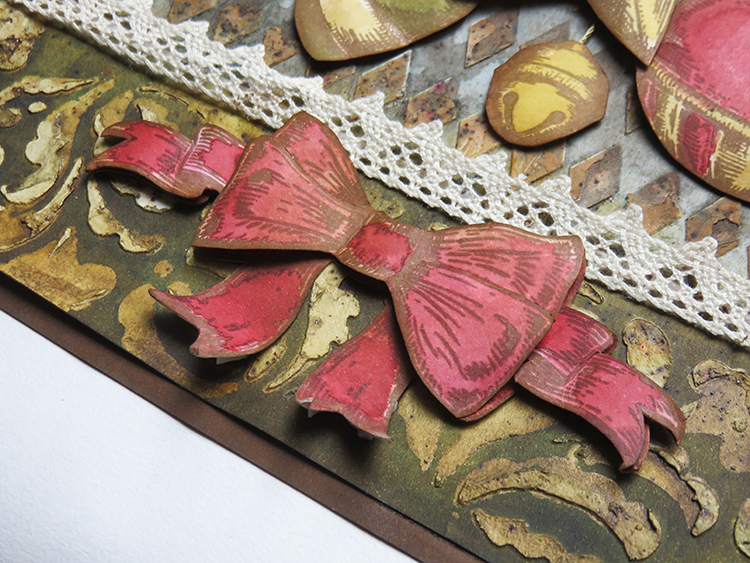 What brilliant ideas Raquel, i love the idea of jam labels etc and i love the way the banner fits under the bow. Great details! 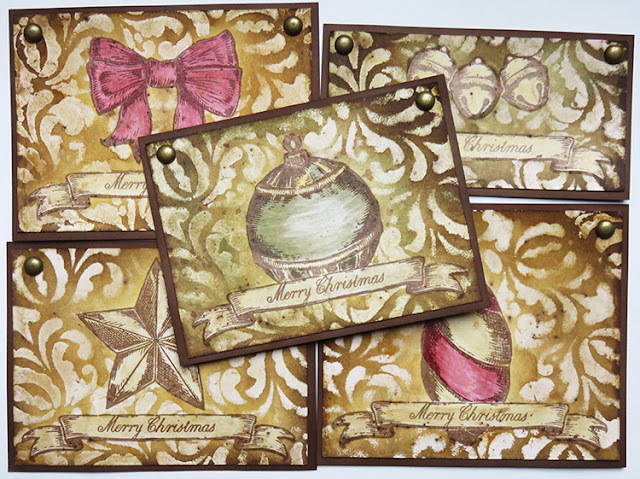 Fantastic stamps and stencils, love them! Yur samples are wonderful and inspiring!!! Congrats on these new releases, Raquel, and the fab samples.